The press release from Suzuki stated that the companies 'have agreed to start exploring ideas directed towards business partnership.' Suzuki and Toyota have agreed to begin concrete examinations towards the realisation of business partnership in areas including environmental, information and safety technologies and mutual supply of products and components. The companies have decided to establish an implementation framework aimed at bringing to realisation the points that have been mutually agreed upon. Since October 12, 2016, both companies have not only shared with each other their challenges but also discussed areas of collaboration in way which ensures fair and free competition. 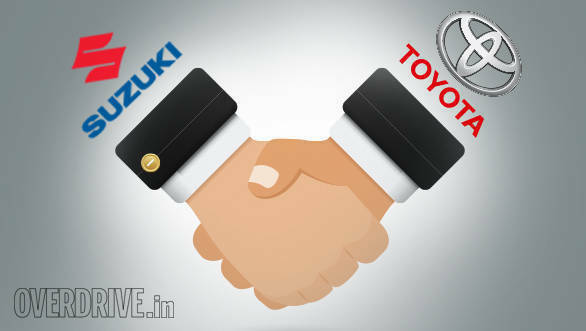 At that time, Suzuki and Toyota had stated that they were open to other companies partnering with them. Akio Toyoda, president of Toyota, said, "Both companies want to co-operate toward enabling all people to truly experience the joy of mobility. I am thankful for having been given this opportunity to work together with a company like Suzuki which overflows with the spirit of challenge. Toyota looks forward to learning much."